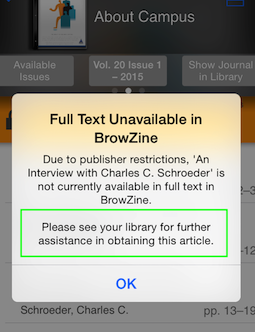 There are slight differences in how this works between BrowZine.com and the BrowZine mobile app. 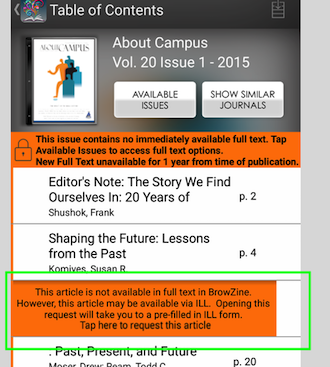 Users who click the above button will then be taken to the library's configured article-retrieval method/system. As noted above, this may be an ILL request form, Link Resolver or email request. With this feature enabled however, users will receive a different message indicating that they can either open up the article to a form-filled-out ILL page or get linked to their link resolver resolution page. 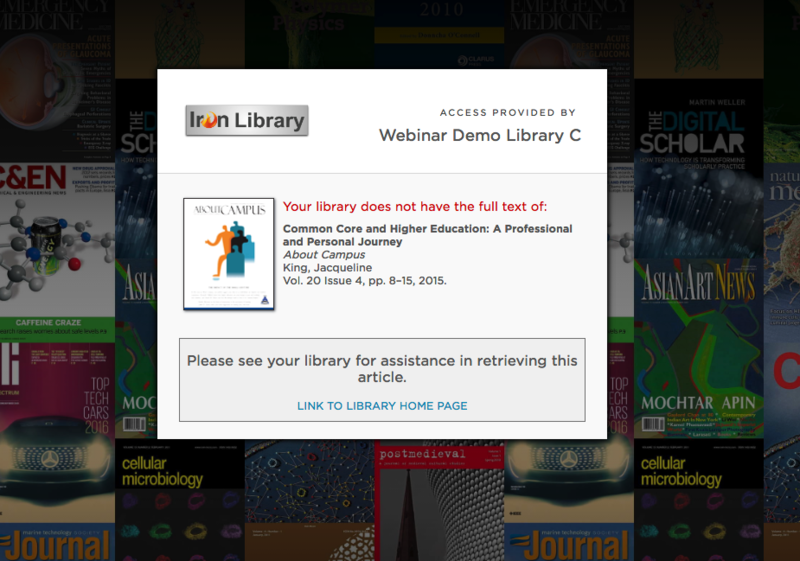 "However, this article may be available via ILL. Opening this request will take you to a pre-filled in ILL form." 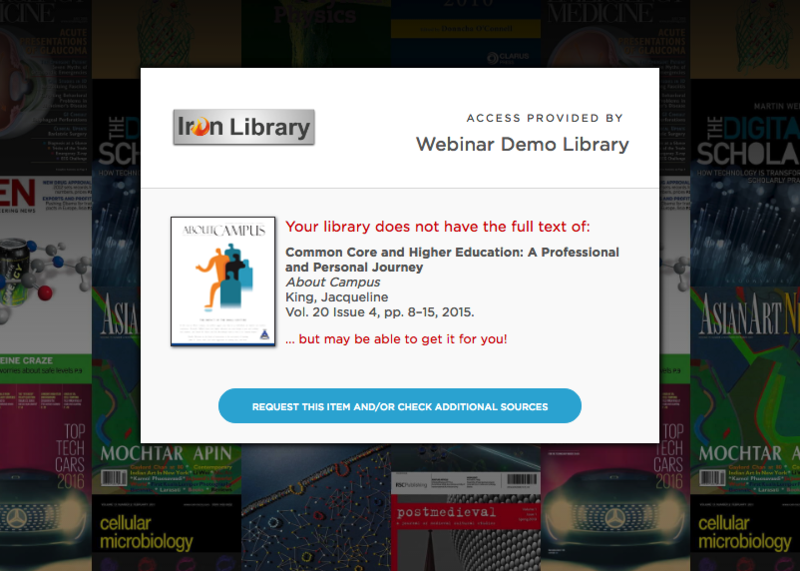 "However, this article may be available via ILL. Opening this request will initiate an email with the request details filled out for you." In the mobile app, the above noted default messaging may be customized. 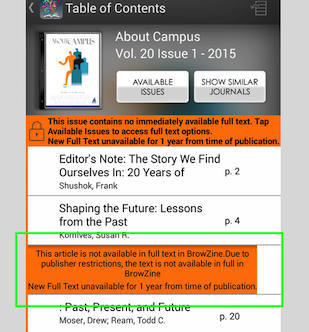 Customization not yet available for BrowZine.com, and is currently restricted to the mobile app only. Customization of text in other areas not yet available on any platform. Most link resolvers already contain a link of their own to ILL forms, so many libraries prefer to connect their link resolver as it offers users a wider selection of options than ILL.
Users will be taken to a pre-populated ILL form with the article details filled out for them. They will simply need to complete their personal details and submit the form. 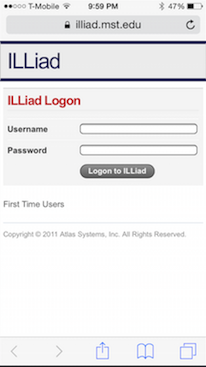 This option is ideal for libraries that do not use a Link Resolver and/or do not have a compatible ILL system. It works by linking users to their default email program (e.g. Mac Mail, Outlook, Thunderbird) on their computer or device. 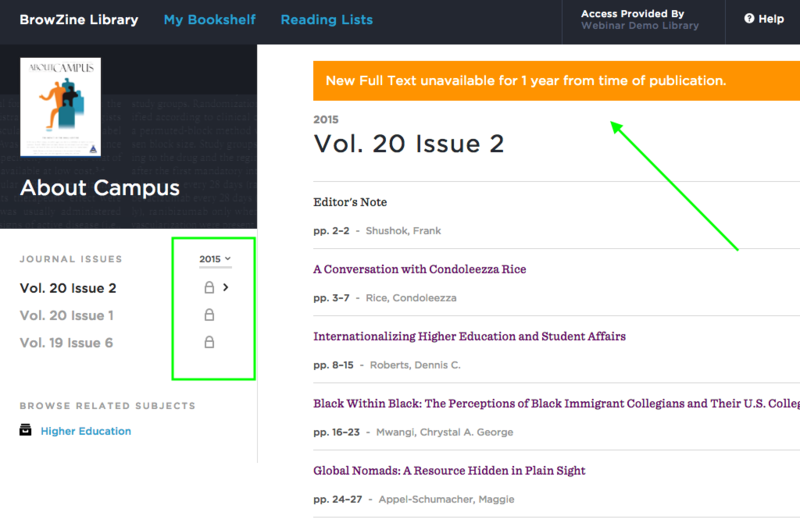 An email will then populate with the library's email address and subject, and the article request details will conveniently appear in the email body. Users may use the space below the article details to include additional messaging or request details. Ready to get started? 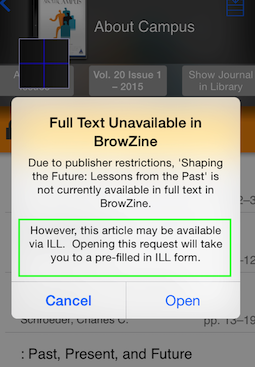 To enable this optional feature in BrowZine, simply fill out our ILL/Link Resolver request form. If you have any additional questions, please contact us at support@thirdiron.com.